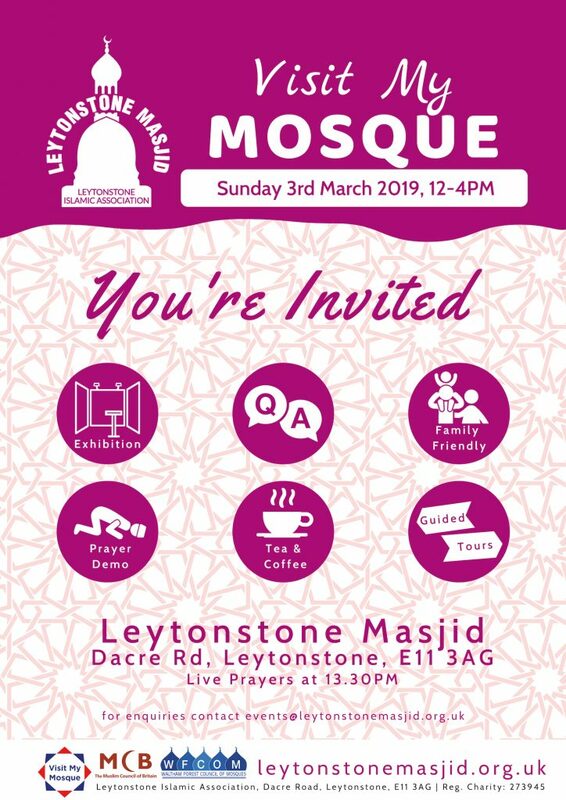 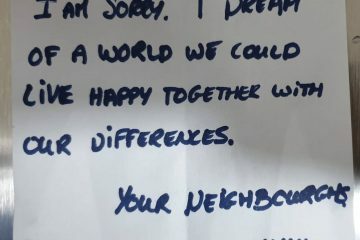 Leytonstone Masjid is taking part in the national #VisitMyMosque initiative and in the spirit of friendship and conversation we hope to give members of the local community an engaging insight into the life of the mosque and to promote greater understanding of Islam. 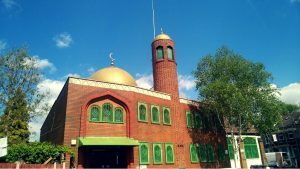 Visitors will be offered a guided tour of the Mosque, access to exhibitions on Islam, complementary refreshments and much more. 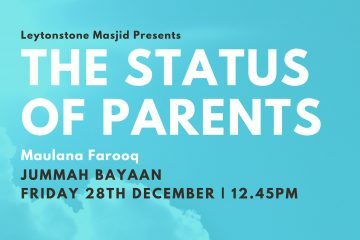 Inshallah, Before Jummah Salah at 12.45 PM on Friday 28th December, Maulana Farooq will be delivering a bayaan entitled: The Status of Parents.